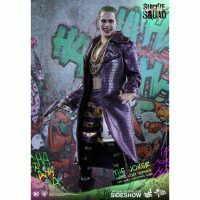 No funny business here because the Suicide Squad Joker Purple Coat Version Sixth-Scale Figure is all about wowing you with its insane awesomeness. 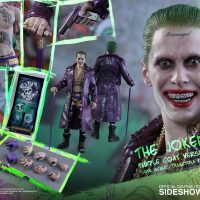 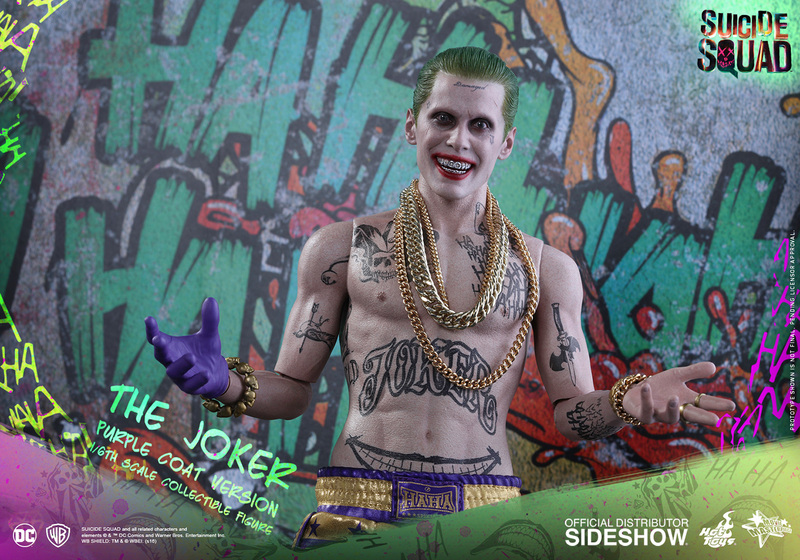 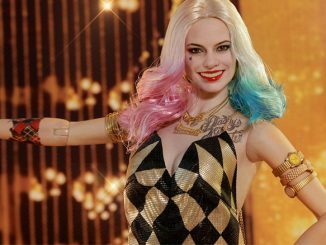 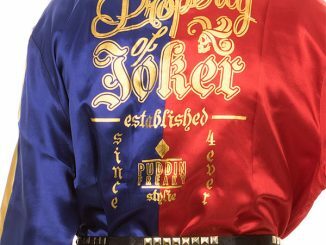 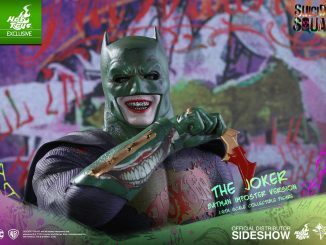 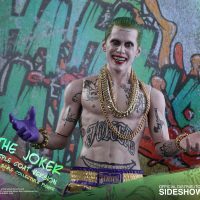 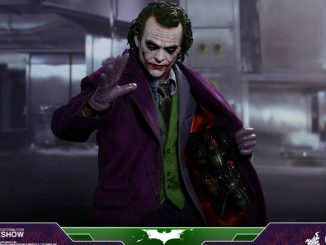 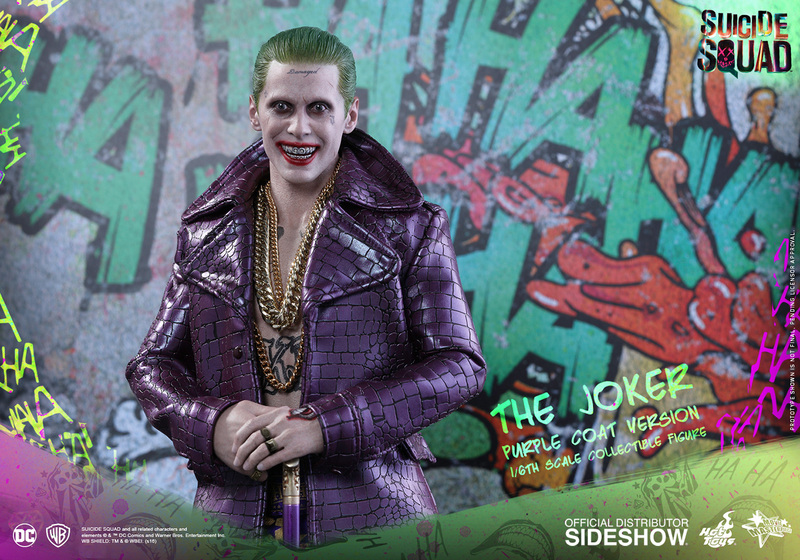 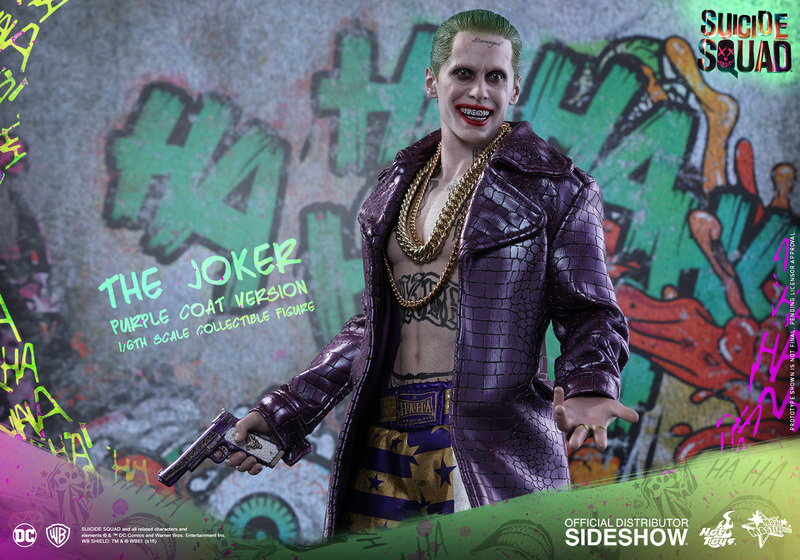 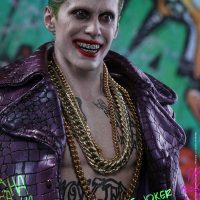 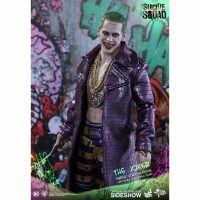 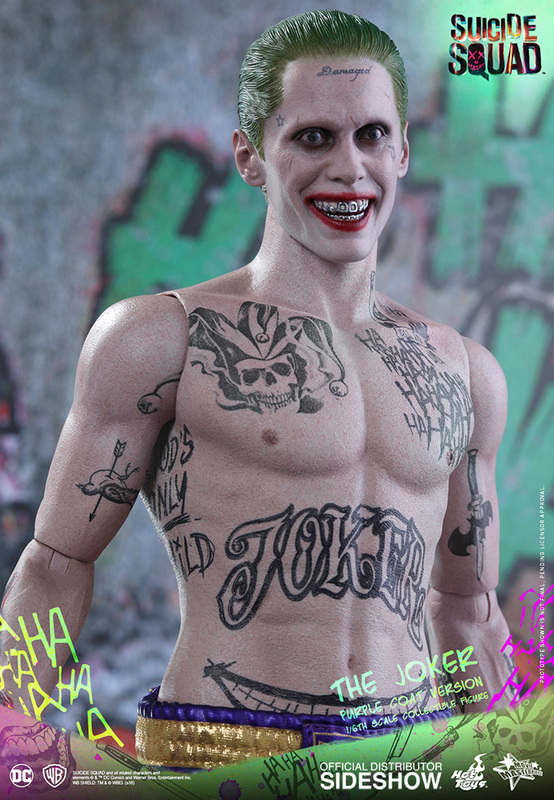 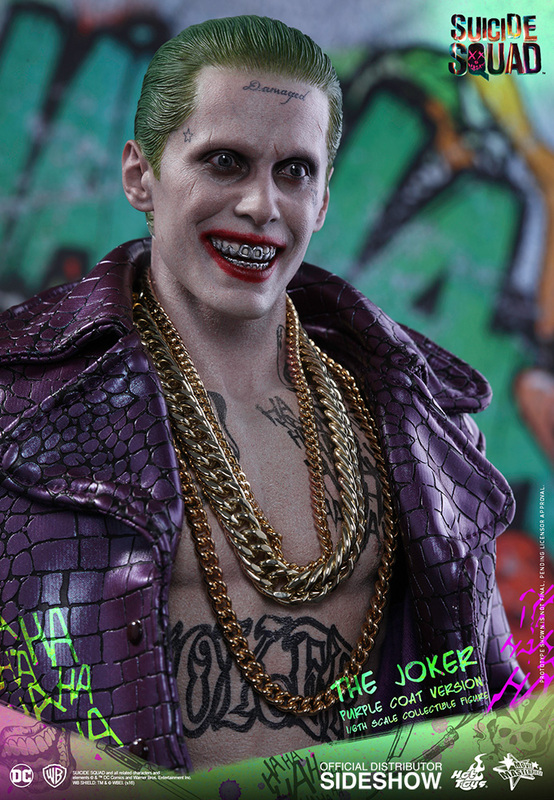 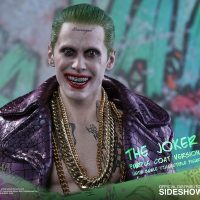 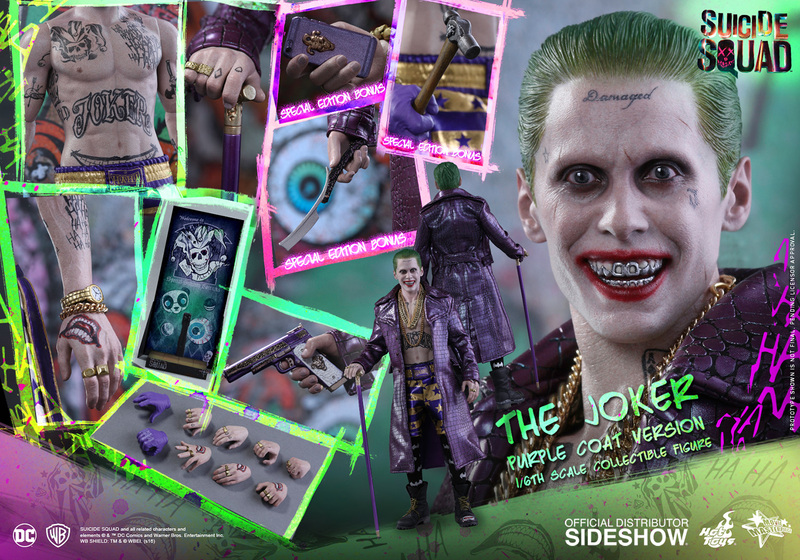 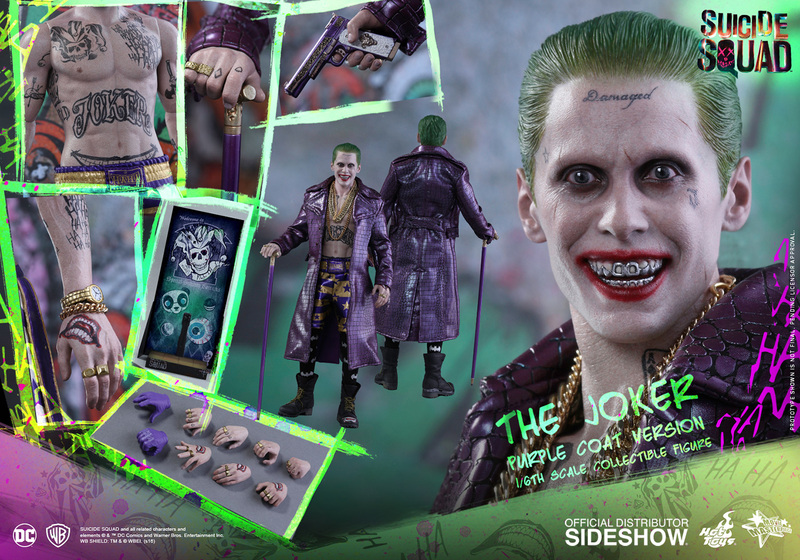 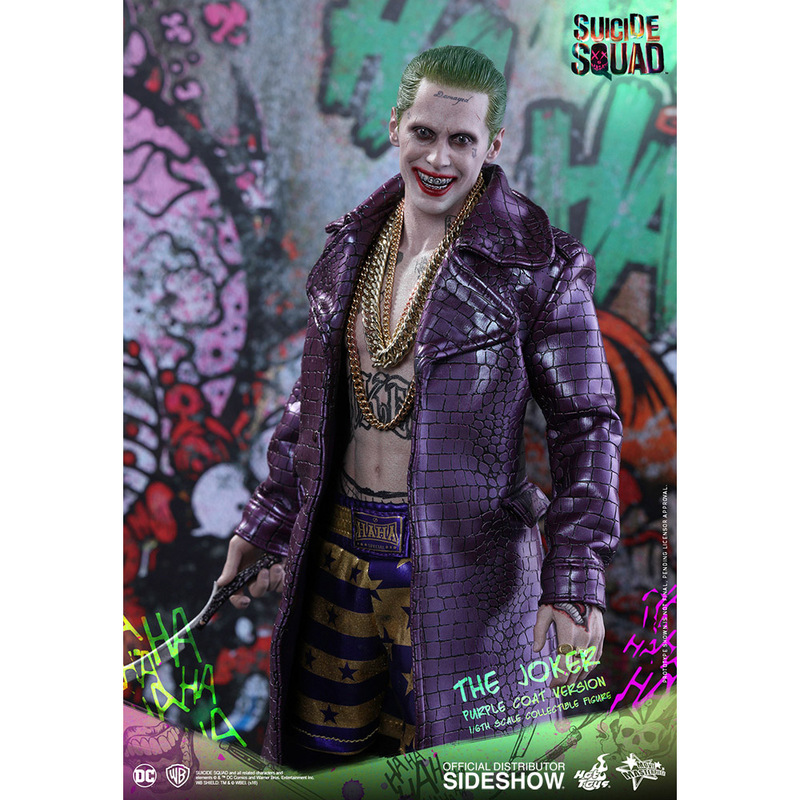 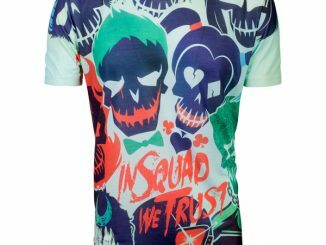 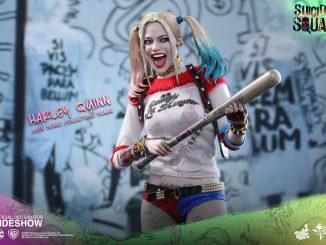 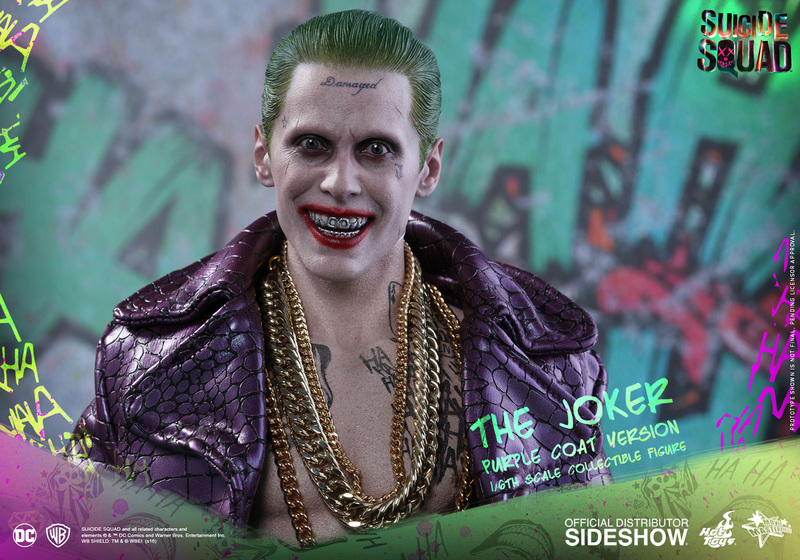 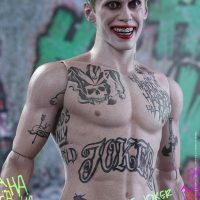 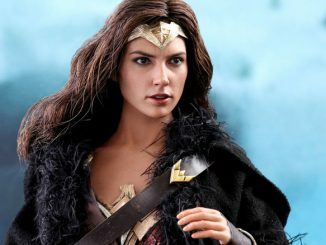 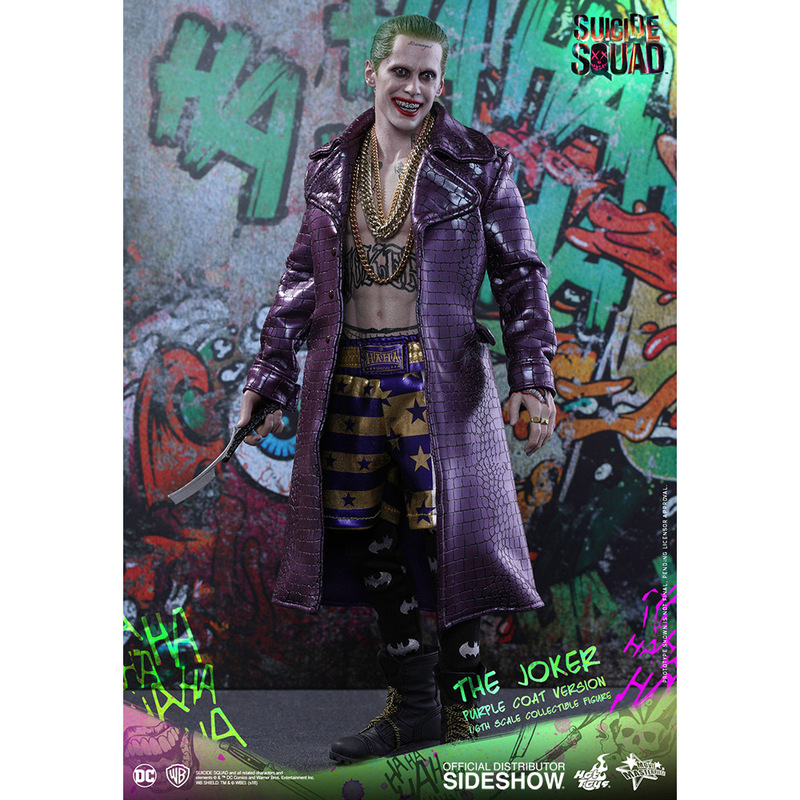 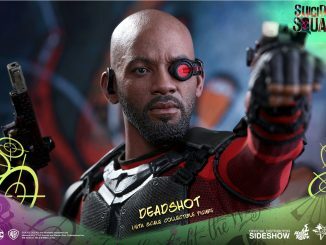 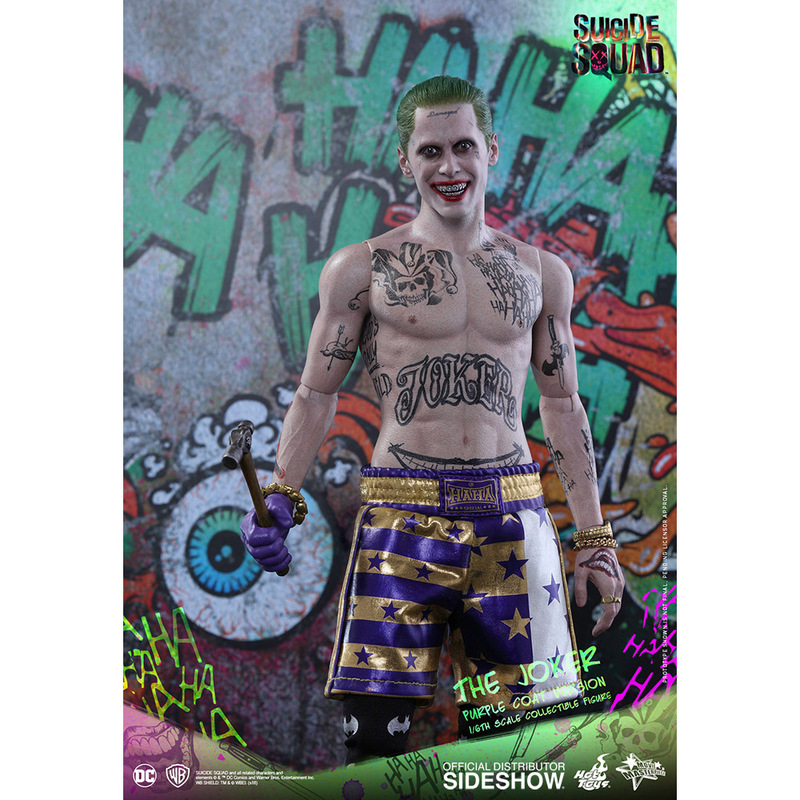 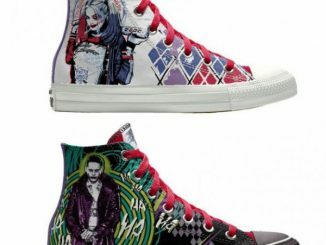 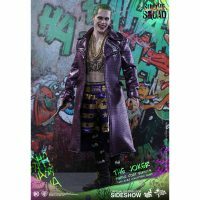 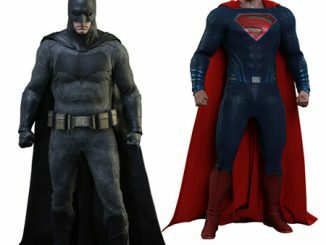 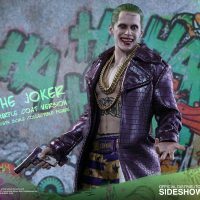 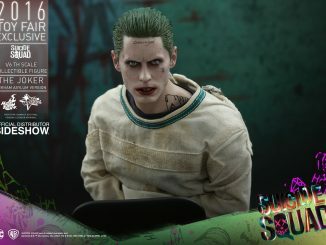 Standing 11.61-inches tall and based on Jared Leto’s Clown Prince of Crime in Suicide Squad, the figure comes with an insane wardrobe that includes a purple colored leather-like coat with crocodile skin pattern, a pair of purple and gold boxer shorts, and black leggings covered with Batman symbols. 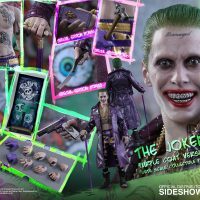 A Special Edition, only available in selected countries, will include Joker’s mobile phone, hammer, and razor knife as bonus accessories. 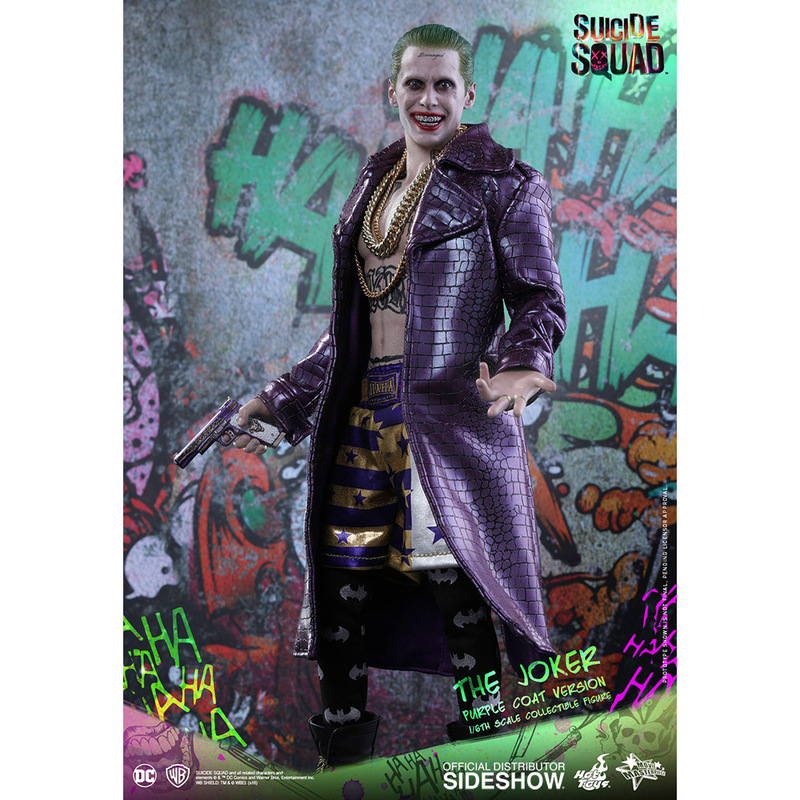 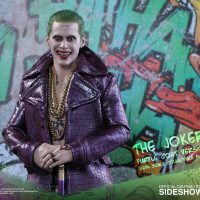 The Suicide Squad Joker Purple Coat Version Sixth-Scale Figure will be available Jul 2017 – Sep 2017 but it can be pre-ordered now for $249.99 at Sideshow Collectibles.